What Biases Could Your Sampling Methods Add to Your Data? Have you ever gone fishing? If so, you may have had the experience of not catching any fish, while the person next to you got plenty. If you walked along the pier or bank, you may have seen that other fishermen and -women caught fish of various shapes and sizes. You’d soon realise that each person was using a different set of equipment and baits, and of course, that the anglers differed in their skills and experience. Beneath the water were many fish, but whether you could catch them, or which species could even be caught, all depended on your fishing method, as well as where and how the fish you were targeting lived. Head view of different ant species found in Hong Kong and further in South East Asia. 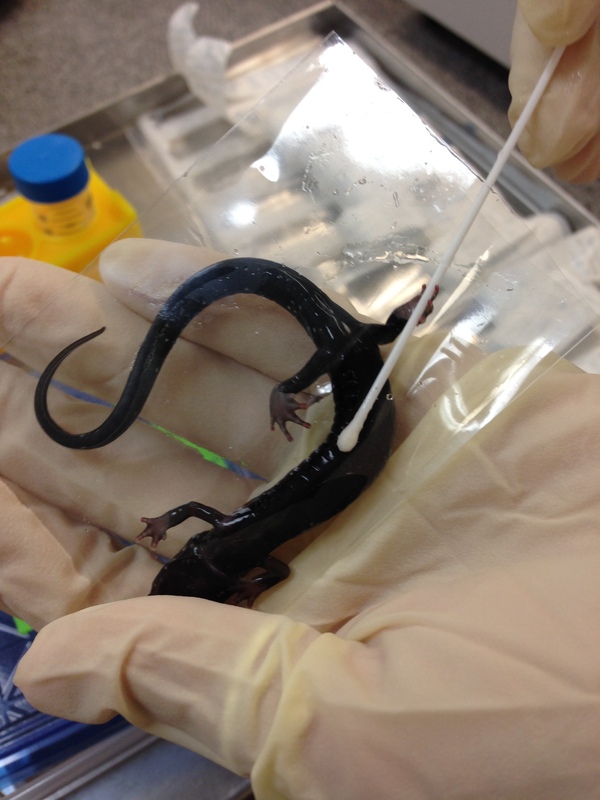 A salamander having its skin swabbed to test for Bsal infection. Imagine you’re at the doctor’s office. You’re waiting to hear back on a critical test result. With recent emerging infectious diseases in human populations, you are worried you may be infected after a sampling trip to a remote field site. The doctor walks in. You sit nervously, sensing a slight tremble in your left leg. The doctor confidently declares, “Well, your tests results came back negative.” In that moment, you let out a sigh of relief, the kind you feel throughout your body. Then, thoughts start flooding your mind. You wonder– what are the rates of false negatives associated with the test? How sensitive is the diagnostic test to low levels of infection? The doctor didn’t sample all of your blood, so how can they be sure I’m not infected? Is the doctor’s conclusion right?